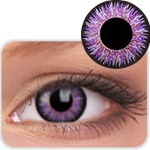 Glamour range offers a more vivid colour change with a black outer circle for more defined eyes. The lens carries slight Aztec design which enhance the overall effect and gives a glamorous look. 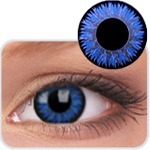 Glamour Blue, the top seller work very well for a light eyes person. 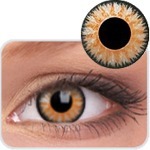 The rest of the colours works well on both light and dark eyed persons.